fmOAuth is a solution for easily accessing APIs such as Google (such as Google Calendar Sync / Gmail download) and Microsoft from FileMaker. fmperception-diff-viewer is a solution to make FMPerception diff more visible. You can download from GitHub. We propose a method to solve without developing as much as possible by integration with other company's services and packaged products. We are developing systems with FileMaker and Zoho Creator. By integrating with services such as Google, Microsoft, Dropbox and lintegrating with existing systems, you can efficiently utilize the good part of each service. We will accept consultation such as 'I would like to talk about how we can improve our current work by utilizing the system.' and 'I'd like to use FileMaker for in-house production of the system, but I'd like to discuss various things until I get on track.' etc. As a partner of FBA (FileMaker Business Alliance), we are licensing FileMaker licenses. and Since we are also registered as a partner company of Zoho, we are selling licenses for Zoho. I summarized a part of the contents announced at FM-Tokyo on a blog "Using Integromat to easily integration FileMaker and Google Calendar". If you devise, you can link with Gmail and Office 365 as well as Google Calendar. Content announced at FileMaker webinar has been released at Recording Web Seminar. You can download the demonstration file used in the web seminar from GitHub. fmOAuth is a solution for easily accessing APIs such as Google and Microsoft from FileMaker. The part which develops the mechanism of OAuth authentication is difficult when API integration is done with FileMaker, and it takes a very long time to develop from scratch. By using fmOAuth, API integration can be easily used simply by "Perform Script" from custom application created by everyone. Please wait for a while as we have prepared an explanation article of the solution. We will update README.md later. Since I have not confirmed the operation, please understand. This time, I use FullCalendar Ver3 for the file which I made public. Because Ver3 depends on jQuery, coding is difficult, but Ver4 is easy to code. Therefore, in the future I would like to update using Ver4. If there are people who will fix it, I’d love to hear from you. I hope to be able to update it together. When developing FileMaker, I think it is common to prepare the development environment separately from the production environment. Also, after releasing the initial version of the system, the developer will modify the development environment and release it to the production environment at an arbitrary timing. Therefore, when releasing, it is necessary to migrate the data in the production environment to the Clone file of the development environment (Data Migration). In the past, it is probable that many developers themselves create data migration tools themselves, rehearse in advance, and do release work. Or you may be using RefreshFM etc. However, as you can see in this title, I think that there are more cases to use the CLI tool FMDataMigration from now on. FMDataMigration is a CLI tool available when subscribing to FileMaker Developer Subscription (FDS). For details, it is good to look at the link below. As stated in the title, we released fmOAuth to GitHub. Please see the image below for usage. If you have any requests or questions, please feel free to contact us at Gitter! I am glad that you can tell me when you use it. Why did it publish to GitHub? Simply put, I decided that it is better not to call the API from FileMaker, which is no longer necessary for me. And it is unnecessary to me, but I thought that it might be useful for someone. That’s because it began to develop with Golang. Also, since there are convenient libraries and packages in any language, compared with FileMaker, it can be developed quite efficiently. As FileMaker developers also learn general programming languages, the possibility of problem solving will expand, so it is recommended! It is an image like the following. The other day, FileMaker 17 has been released, the neighborhood is very exciting. Many developers write articles related to 17. Therefore, I will write about FileMaker 17 Data API with less information this time. As the title suggests, I use a terminal but I try to use it with Copy, so feel free to try it. First of all, about the document. The FileMaker Data API was available from 16, but it was a trial period. The trial period ended at 17 and it was officially released. If you have time, please see the help. After installing FileMaker Server, you can see the reference at the following URL. If you look at help it is properly written, so let’s see. When you installed FileMaker Server, you installed the FileMaker Data API reference files. This reference provides detailed information about all of the calls supported by the FileMaker Data API. Note:To view the reference information, check that FileMaker Data API access has been enabled in Admin Console. See FileMaker Server Help. To view the reference in a browser window on a remote machine, enter the URLhttps://host/fmi/data/apidoc/where host is the IP address or host name of the master machine running FileMaker Server. For windows, please do it with cygwin etc. If I have time, I’ll try to verify. I recently started using Vim. I try to live with Terminal.app as much as possible, not as a GUI application. I am used to living with terminals as the main, and I gradually delete GUI applications that are no longer needed. Although it may be serious at first, I am comfortable when I get used to it, so I recommend you to everyone! Since I write blogs such as “Recommended command!” If you can afford it! I was developing fmOAuth and wanted to cover most of what I can do with the Gmail API. And I tried implementing HTML mail sending and sending mail with attached file etc. I think we can implement it in the next version of fmOAuth! Also, we are thinking about deploying to another product using the function here. Since fmOAuth is implemented with “insert from URL” only, plugins etc are not used. The API is really wonderful! If you have trouble with API cooperation, please contact us! 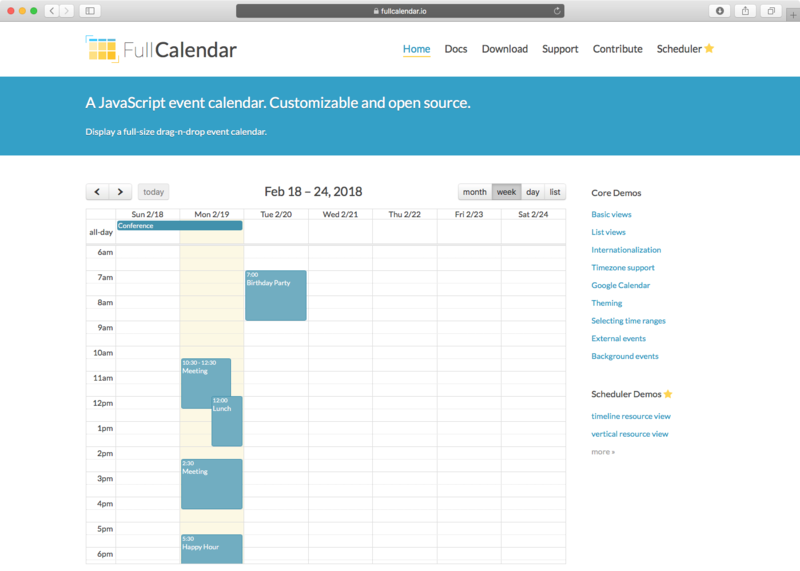 As I mentioned earlier, I am developing a solution fmSimpleCalendar as the title suggests., It had been announced previously, but has developed a solution that as the title fmSimpleCalendar . It is likely to be released as it has finally become a form., It is likely to be released because we have more and more in the form. fmOAuth v0.0.3 has been released. Please check the Release Notes for detail. As a result of updating the client ID of fmOAuth, selecting “Use fmOAuth” in v0.0.2 or earlier sample file results in an error. This time, we have not fixed it. Also, as I received an inquiry that “fmoauth.fmp 12 is hosted on the server, I can not cooperate well,” I confirmed it. In my environment, I could confirm that I can cooperate. In the next version upgrade, I would like to cover all Gmail APIs. You can also send HTML mails. Please look at the sample file and ask questions if there are unknown points such as scripts. If you have an API etc. that you would like to collaborate, I hope that you can request. If possible, it would be greatly appreciated if you could give us your impressions (both good and bad). I am developing the solution called fmSimpleCalendar although it is as the title. It is a solution using FullCalendar you all know. It’s a man like this. As the name suggests, I will try to make it easier to understand by looking at the file without complicated things. It is the general purpose developer to customize it and incorporate it into your custom app. I am releasing it as soon as it is under development. fmOAuth v0.0.2 has been released. Personally, I think that it is great that you can use the API using any client! By logging in to Google Cloud Platform with your own account, You created a client to use the API, and You made it available by passing the created client information as a script argument. You login to Google Cloud Platform with your google account, create a client to use the API, and make it available if you pass the created client information as a script argument. In addition, you can now download Gmail (via Gmail API). If you run it on the server side, I think that you can sync Gmail. I think that it is easy to incorporate it because it implements it only by Insert From URL without using a plug-in or the like. Please look at the sample file and question if there are unknown points such as script! 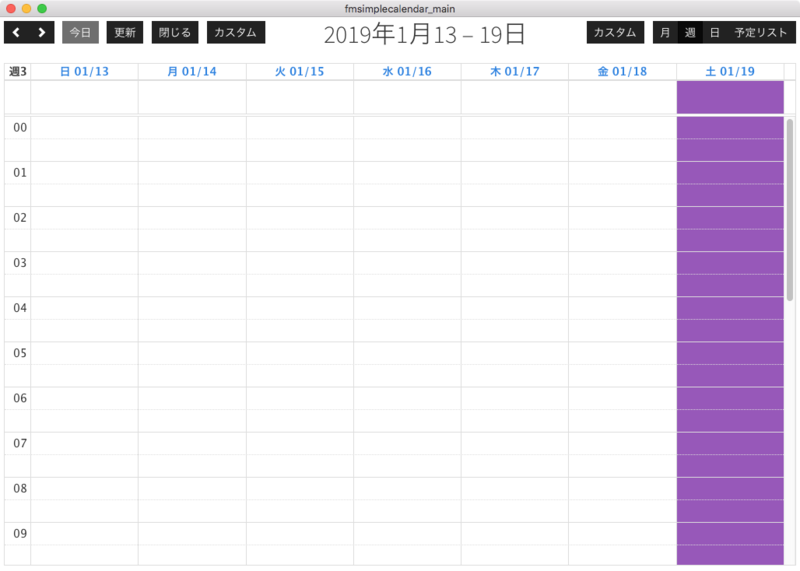 Currently, I create a template file that can easily incorporate FullCalendar that can be used in FileMaker Web Viewer. I might like to sell it at the Web store, so it may be cheap, but it may be sold for a fee! If you have an API etc. that you would like to integrate, I hope that you can request. Since fmOAuth integration with Google Calendar, I thought that I wanted to implement it with a UI similar to Google Calendar. So when I displayed the calendar with the Web viewer, I examined libraries that seemed to be good, so I would like to introduce it. Please check the license etc. when using it. In FileMaker, speaking of the calendar, I think that it is a classic as FullCalendar. Although I actually used it, since it is easy to use and there are also a lot of information, I think that it can be implemented relatively easily if it examines a little. Because the document is easy to understand, I think that you can understand by reading. 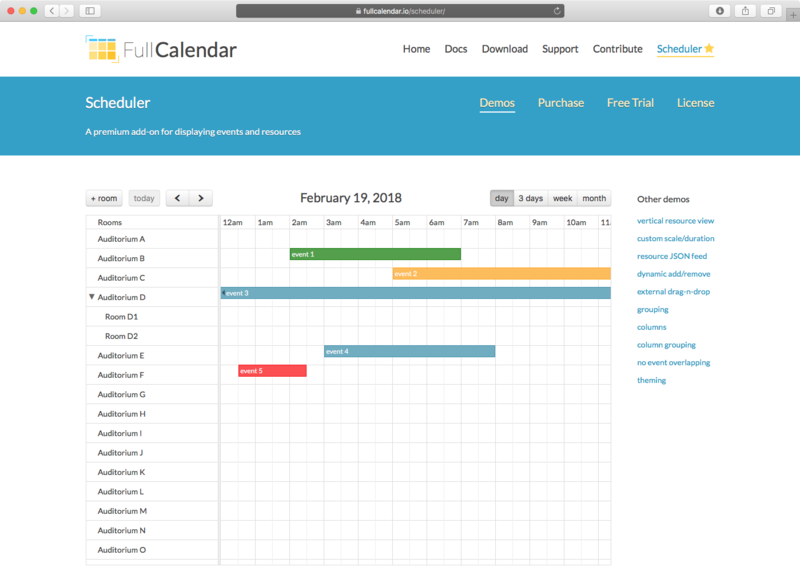 This is the FullCalendar add-on I mentioned earlier. Since the license is different from FullCalendar, please check it when using.